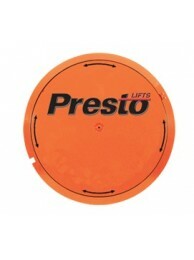 Presto Turntables can be used in palletizing, assembly, or work positioning applications. The Low Profile Turntable sits only 1/8" off the floor and can be loaded with a hand pallet truck. 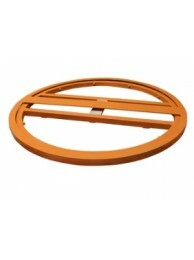 The Floor Mount Turntable Ring is portable and can be moved easily from one work area to another. Standard turntables can be mounted to the floor, to a fixed height stand, or to a lift table. Whether you need a floor mounted turntable, a fixed height stand mounted turntable, or scissor lift turntable, Presto Lifts can satisfy your requirements. In addition to the products in this section, we can also custom configure a turntable solution for your specific application. The Presto Low-Profile Turntable - LPT - sits only 7/8" above the floor and has a high tapererd edge.. The Presto Ring Floor-Mount Turntable - RFT -43 is a two piece portable turntable that consists of a..